It’s been over 3 years since the SP Hunters have been playing professional rugby league. From Kalabond oval in Kokopo, East New Britain Province to their new home ground stadium – National Football stadium here in Port Moresby, the Nation’s Capital. There are many behind the Hunters team, including coaching staff, administration team, Management and Board, the Sponsors, fans and 8 million Papua New Guineans. This year was a breakthrough, what has been dubbed the “fairy tale win” in the Intrust Super cup grand final was in fact history for us all. This would not have been achieved if it weren’t for the commitment from the individual players as well, most giving up family to be in camp. 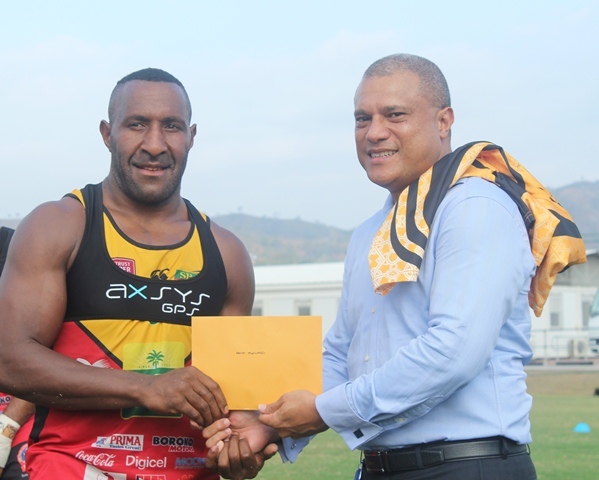 The support we give to the team is a reward for the hard work and effort into each game, the MTSL best back and best forward award is an investment for our league stars who have brought rugby league in PNG to a whole new level, demonstrating skills at a professional level which inspires our younger generation with the hope to become a hunter or a Kumul one day. 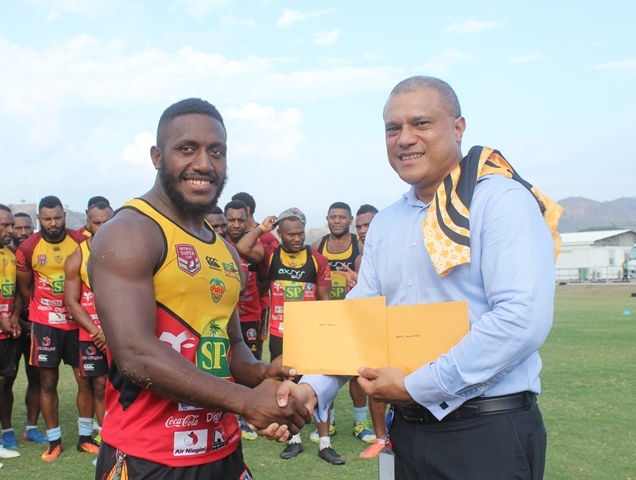 With 90 seconds left to full time, it was Willie Minoga’s try that leveled the score with falcons and scored him the MTSL best forward award which was increased to K2, 000 seeing the team had reached finals. The best back was awarded to Watson Boas who played exceptionally well until his injury. At a photo opportunity with the Hunters last week MTSL Director Mr. Warwick Vele made the presentation to both players, Mr. Vele thanked the team as a whole for their efforts throughout the season and for making the country and the sponsors proud. Mr. Vele announced to the team, that MTSL would continue to support them in the new season. The Hunt is over for now.